The smartphone. It didn’t take long for cybercriminals to set their greedy eyes on the various riches within each one. Precious photos that can be ransomed. Financial accounts that can be plundered. All the personal info a crook needs to pull off identity theft. There is a new wave of cyberattacks targeting mobile users. A bank Trojan, which hides in other apps in order to sneak onto your phone, is just one example of how sophisticated and deceitful malware has become. When you launch your regular banking app, the bank Trojan covers your bank’s home screen with its own replica overlay. Type in your username and password, and the bad guys now have it. Mobile security is absolutely essential in today’s environment. 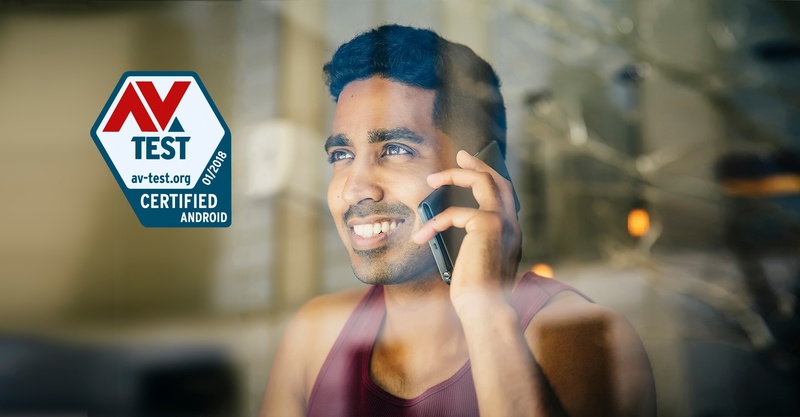 In its first report of the year on mobile security, independent lab AV-TEST focused specifically on Android protection, looking to identify the most effective antivirus software on the market. When it came to evaluating AVG AntiVirus Free for the study, the lab certified us with a perfect score of 12 out of 12. The test encompassed three categories of capability: protection, usability, and special features. For this section of the evaluation, the lab launched almost 6,000 samples of recently-discovered malware at the Android device, to measure how many the security software could detect. AVG AntiVirus Free scored higher than industry average by detecting 100% of the samples, earning it 6 points out of 6. This section looks at the software’s impact on the device’s performance — does it slow it down? Does it drain the battery? The study reports that AVG AntiVirus Free did neither of those, nor did it report any false positives (wrongfully claiming a legitimate app is malicious). The software received another perfect 6 out of 6 in this category. The study also took note of “further important security features” of the software, calling out the anti-theft, call blocker, safe browsing, and backup features, as well as its Wi-Fi security and app lock. Read the full AV-TEST report to learn more about the study.